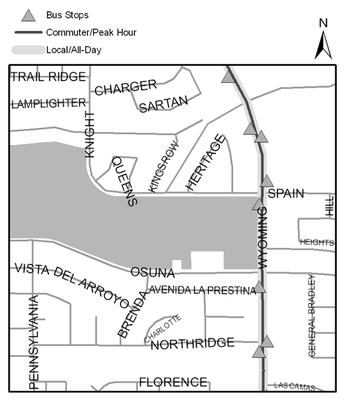 Information about the prescription trail at Arroyo del Oso Park. Download Arroyo del Oso trail info. The path goes around the soccer fields. The playground is at the southwest corner of the park. Weekend parking is limited during fall and spring soccer events. 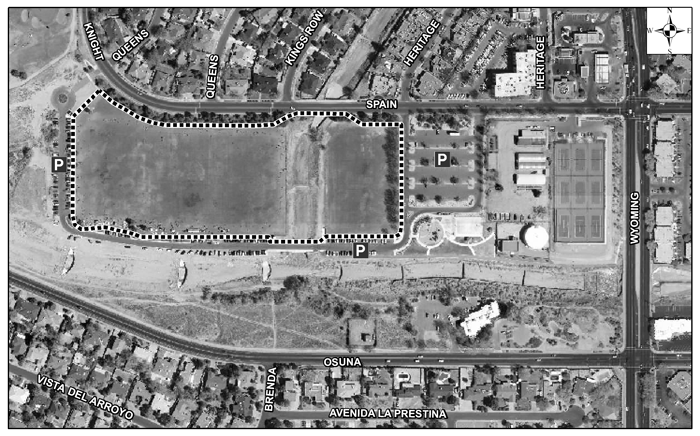 View information about model aircraft flying at Arroyo del Oso Park.